Some of you might remember the fan-made Necromancer by Nightcrest87, featured a while ago on our front page. The feedback seemed to be mostly positive, with users liking the re-imagined class, along with the D3 type skill and item concepts that came with it. Today we would like to showcase another Nightcrest creation, the Avatar. A modern version of the Druid, complete with Shapeshifting skills and nature-themed abilities. Another incredibly well crafted concept class that is surely to get you excited - definitely check it out! To help people visualize the idea even better, Nightcrest has also set aside these amazing fanart / drawings from Applibot Inc© (male) and Nathalia Gomes© (female). Some possible Set items that would synergize with the Avatar! These are the bread and butter skills of the class. Some can be used with a melee weapon and some require a ranged weapon. Note how the piercing weapons theme is strong in this category, which is a homage to Amazons and their Javelin abilities. These are the main damage dealers and resource spenders of the Avatar. 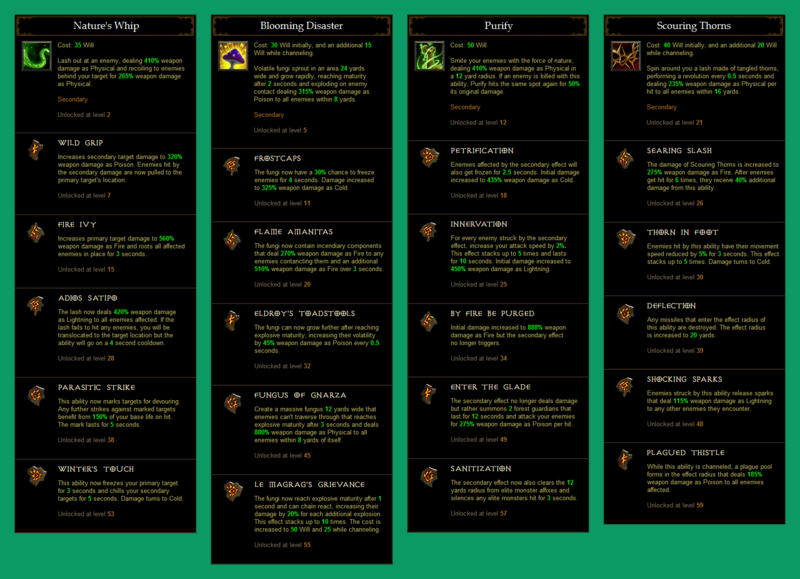 You can already notice a few nature themed abilities here. Defensive abilities, that can boost your defenses, recover wounds faster or even give a temporary cheat-death buff. Fight or Flight is an very unique ability, that gives you bonuses depending on whether you're moving or standing still. 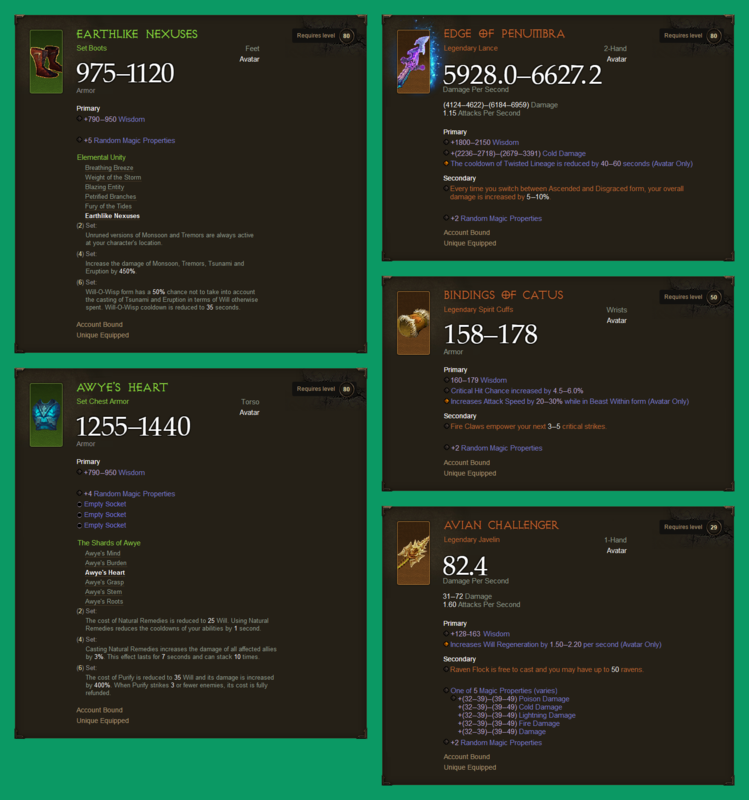 A proper Avatar / Druid must have companions! 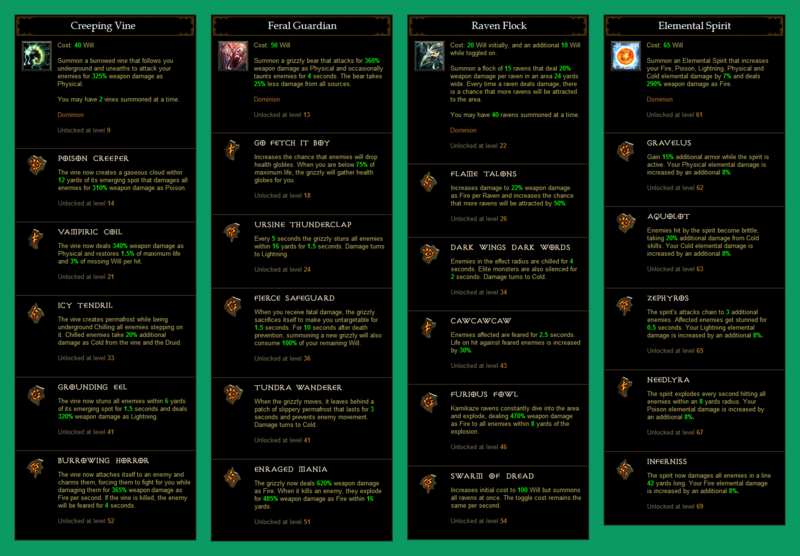 These are your summoning abilities, that can either protect you and boost your defense, or increase your damage output. 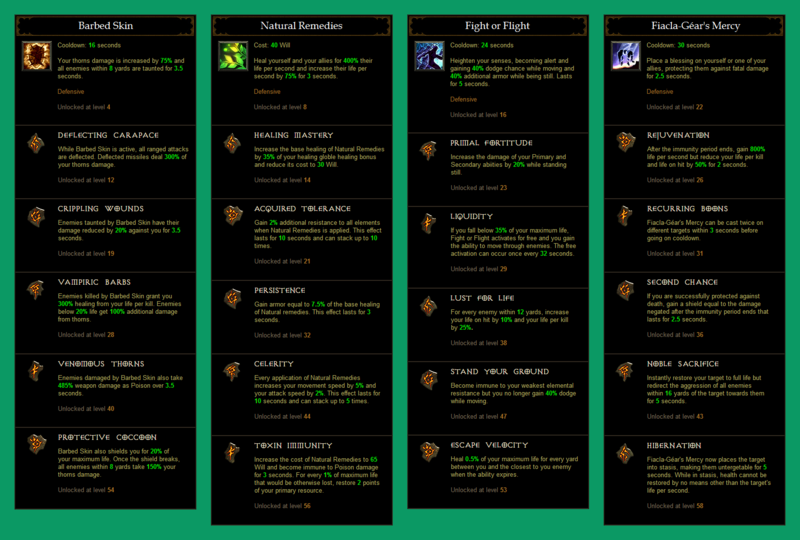 We arrive at what you were probably waiting - the Shapeshifting skill tree! This contains classic abilities like Spirit Oak, and merges quite a few interesting transformations in one ability: Beast Within. Definitely one of the more intriguing sections of this creation! The list of available passives for the Avatar. Some very interesting and unique concepts here too! 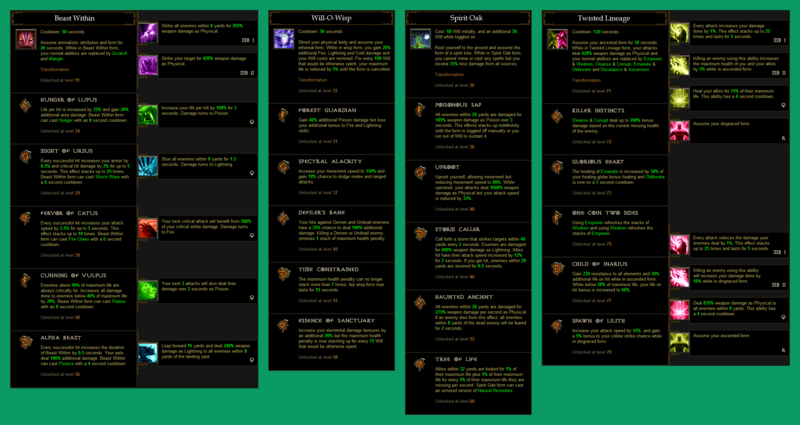 As in the previous creation, Nightcrest87 knew that there would be questions, and has once again crafted a preliminary Q&A with some potential questions. Drop by if you want to read it, ask more questions or leave feedback about his creation! Nightcrest87, the creator of the featured fan-made Avatar on the front page, made this Q&A for those interested in having a little more insight and knowing his thought process when designing the class. Check it out! Q: This class is clearly the Diablo II Druid. Why did you choose the name Avatar instead of Druid? A: First of all, in this fan creation Avatars are Druids. It is just an honorary title bestowed to the wisest of druids. That being said, when I was researching the thematic aspects of the Druid in Diablo II, it became fast apparent that the original concept was lacking. The original concept had basically 4-6 themes depending on how conservative you are in the way you categorize them. The rest of the classes had an average of 8 themes in their skills trees. That being said, the theme of the Druid class had to be significantly enhanced in order to become something functional in D3. Therefore…, Avatars. 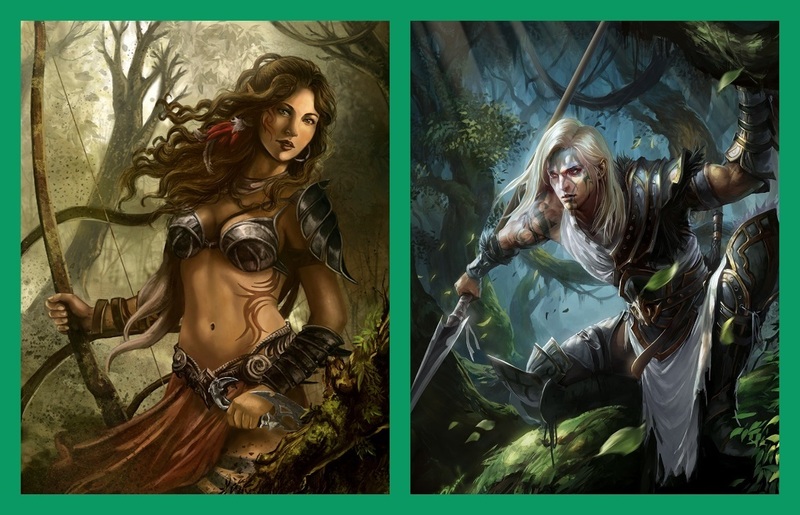 Q: Can you compare the themes of the Druids and the Avatars? 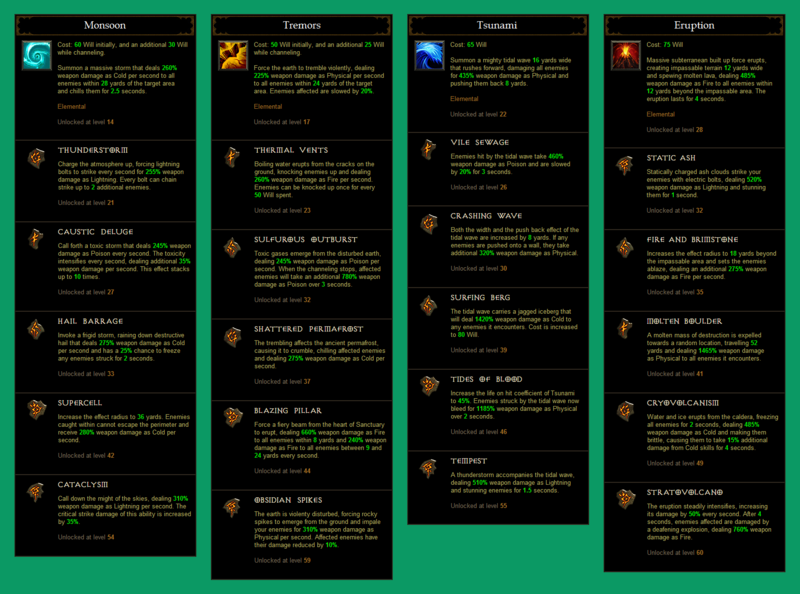 A: The Druids have the following themes: volcanism, weather, transformation (dps/tank) and companion (support/offence). The avatars have kept the same thematic identity but have diversified them as well as adding new aspects to it. 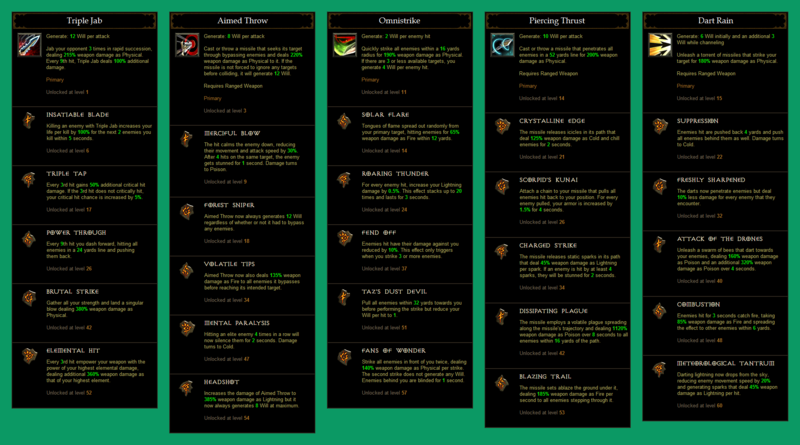 The Avatars have the following themes: tectonics (volcanism, quakes, tidal forces), weather, companion (offense/support/utility), transformation (beast – melee dps, wisp – caster dps, oak – defensive/support, hybrid – utility), nature (growth, cleansing, survival), piercing weapon affinity and special interactions with poison elemental damage. Q: What are the Avatars exactly? 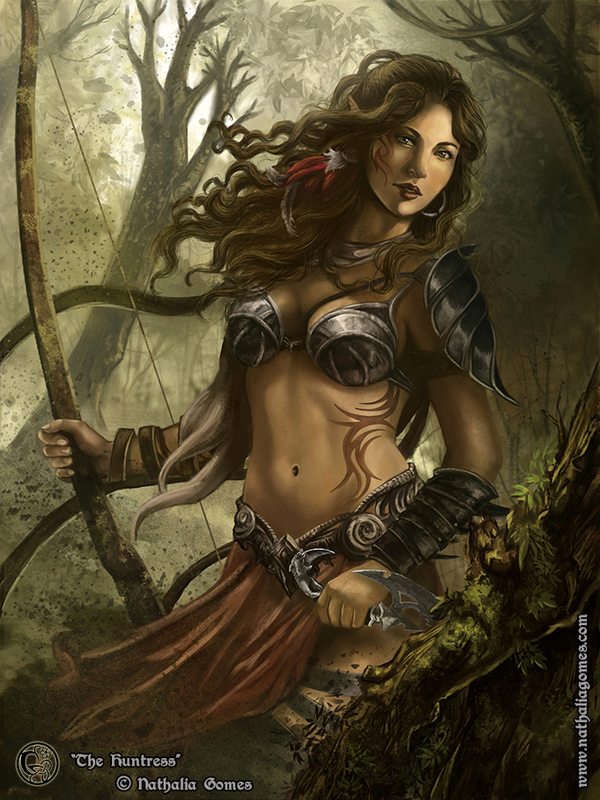 A: The Avatars are the elite of the Diablo II Druid class. They are the ones who have reached the high peak of being a Druid either through their mental age or some genetic enabling trait. They are the embodiment of nature. They are one with everything. If Sanctuary had flesh and bones and was a living entity, that would be the Avatars. And this is where the name came from, *Avatars* are the *image/representation* of Sanctuary; even literally. All Avatars were once Druids, but not all Druids will manage to become Avatars. I could have called them Archdruids but it felt too cliché. Q: Why is Will (Willpower) their primary resource? A: The Avatars can command nature itself. They can animate the elements, they can influence animals and give conscience to plants. In my mind, willpower seemed like the resource that made absolute sense for them. Q: Why is Wisdom their primary stat? A: When I started designing the Necro, the Druid was also at the back of my mind, although I wasn’t sure if I would actually design it as well. I needed a primary stat that both classes could use. In fact, I decided on Wisdom for both long before I even created the first spell for the Necros. Q: Why did you choose Fire, Lightning, Cold and Poison damage for their runes and skills? A: As a class that is one with nature, I chose to use the 3 powers that are nature itself (Cold, Fire and Lightning) and the one that nature frequently enhances its creations with (Poison). Those 4 powers are also a small tribute to the Diablo II game, as they were the only ones present back then. My original idea on this class also employed a thematically primal version of Shadow damage but I quickly changed my mind on that. I feel bad for this guy. He's doing Blizzard's work and the new class will probably be far less interesting than this. @GloryJak can't be sure if you're being sarcastic or asking seriously. In case you're asking seriously, player suspect that if there is another expansion being worked on (which we don't know for sure) that it will likely contain at least 1 more class, possibly 2. I see one theoretical character design and then a lazy, uninspired pinup drawing with seemingly nothing to do with the rest of the content posted. i recognize some icons from warcraft 3, wow. Great work, I love these ideas, it's a very good concept!